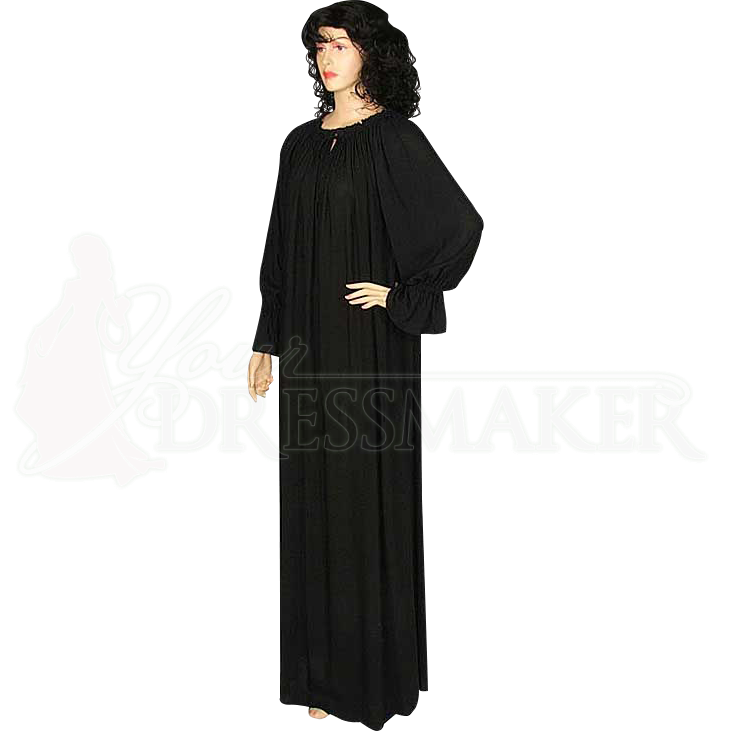 This Renaissance Chemise is a beautiful handmade rayon medieval chemise. The Renaissance Chemise has a generous length of drawstring at the neckline with very full and long sleeves. The Renaissance Chemise is worn under all gowns, bodices and skirts, like a medieval slip. Chemises absorb the bodies soils and leave less wear and tear on the outer garment which was usually more expensive. The chemise still does the same job today.